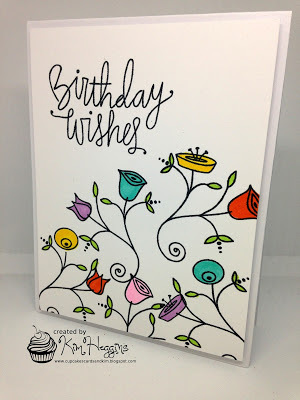 Love, love, love this take on Kim's card! Love the way you placed these wonderful light strings. I have always loved this stamp set. You've put it to great use here!!! The string of bulbs is perfect, so bright and festive! Such a great way to convert those bright flowers into a Christmas card! So clever and fun, Joyce! Love this Joyce!! The colorful lights are so much fun!! Okay, this is the best take on Kim's card. I love those lights!! Ohhhhhh, so in love with your sweet card Joyce. I love those tangled Christmas lights, what a wonderful take on the flower stems, you are so creative! What a fun take on Kim’s flowerer card , the lights were just perfect ! I thought of Christmas lights too when I saw Kim's card - and I love how you did it - that tangle of lights in the corner is absolutely perfect! Wonderful card!